“In America, the number of serious psychological distress (SPD) patients have increased than ever before; approximately 3.4% of the US population suffers from SPD. “According to a recent study by NYU Langone Medical Center. Since life has become much easier than it was 50 years ago, but still anxiety disorder, depression, etc. are on the rise so as the demand of the anxiety consultation & treatment services. 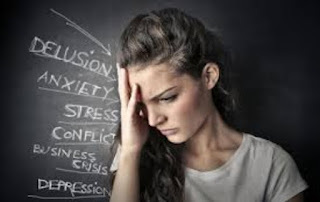 Surviving with the anxiety disorders is not fun, and people suffering from this type of disease are very eager to know what are the causes, symptoms and treatments for anxiety disorders. However, there are many things in our lives we want to change, but can’t; and this can also become a reason of the anxiety disorder. Anxiety is a term used for the mental illness that can result in fear, worry, and nervousness in people, and it can also cause threat to well being. Usually, it develops when one tries to do something out of his comfort zone, and faces several challenging situations. Anxiety can cause insomnia, headache, muscle pain, etc., and to avoid these, you should get anxiety consultation & treatment immediately. However, developing the skills you are lack in can also help you reduce the anxiety levels and promote wellness. Let us take an example of giving a speech at an annual function. For some people, it might not be a big deal, while others may feel anxious when speaking in the public and expressing their ideas and views. Anxiety disorders can affect lives of children too, causing mental depression and abnormal functioning in learning and other daily processes. To get rid of the anxiety and related problems, it is recommended to seek professional help to get reliable treatment for anxiety disorders. It has been proved that exercising reduces anxiety levels to several folds. A daily 45 to 50-minute walk can help releasing endorphins, thus controlling the anxiety problem. Identify the physical activities you enjoy taking part in, and make a schedule for a month. However, you can also include running, hiking, cycling, table tennis, swimming, dancing, etc. in your daily exercising routine. Talking with others helps people feel good and reduce stress. Try meeting and spending time with your close friends. However, you can also schedule a lunch date, engage in your favorite activity with your loved one, take a long walk or watch a movie on the weekend. Thus, staying connected with others is a natural treatment for anxiety disorders. Not able to sleep properly at night is also a reason of anxiety. Thus, before you go to bed, relax your mind and body by doing light exercises, or listening to smooth music. Most of the anxiety patients can’t sleep thinking of the previous or next day work schedule. If you feel the same, prefer thinking of your achievements, reading online quotes about being happy, or do some light exercises. Most of the anxiety patients agree with the fact that they have a lot of stress in their lives, and caffeine is a substance that increases levels of stress hormones, heart rate, and BP. Thus, eliminating caffeine products from your daily diet plan can help you prevent from anxiety attacks. Eating healthier is one of the common phrases people usually heard from doctors when getting the anxiety consultation & treatments. Fried and acid forming foods, alcohol, coffee, refined sugar, etc. contribute to anxiety disorders, and you should avoid consuming these. However, eating more green vegetables and avoiding burgers can help you keep your anxiety levels low. Rate your anxiety level on 1-5 scale. Prepare an excel sheet, and note down the situations when you felt more, moderate, and less anxious in. Keep track of the things on regular basis; identify the activities that help you lower the anxiety levels and try adopting them as habits. When working on lengthy documents, it is necessary to take time outs at regular intervals. This not only helps you stay relaxed, but improves your productivity levels as well. Even doctors during the treatment for anxiety disorders advice patients adopt a habit of getting short breaks after every 2 to 3 hours. Whenever you feel anxious, try practicing deep breathing. Simply inhale and exhale through the nose for 10 to 20 minutes on daily basis, and it will surely help you make a difference. However, reciting certain sentences like ALL IS WELL, I AM FINE, I AM THE BEST, and etc. can also help you feel good. Anxiety is just like a chain in your feet, which doesn’t let you stay ahead in the competition. If you want to cope with anxiety, you need to observe the problem, and take small steps (as discussed above). However, if you still face the problem, you can seek the professional help or visit the doctor for anxiety consultation & treatment.